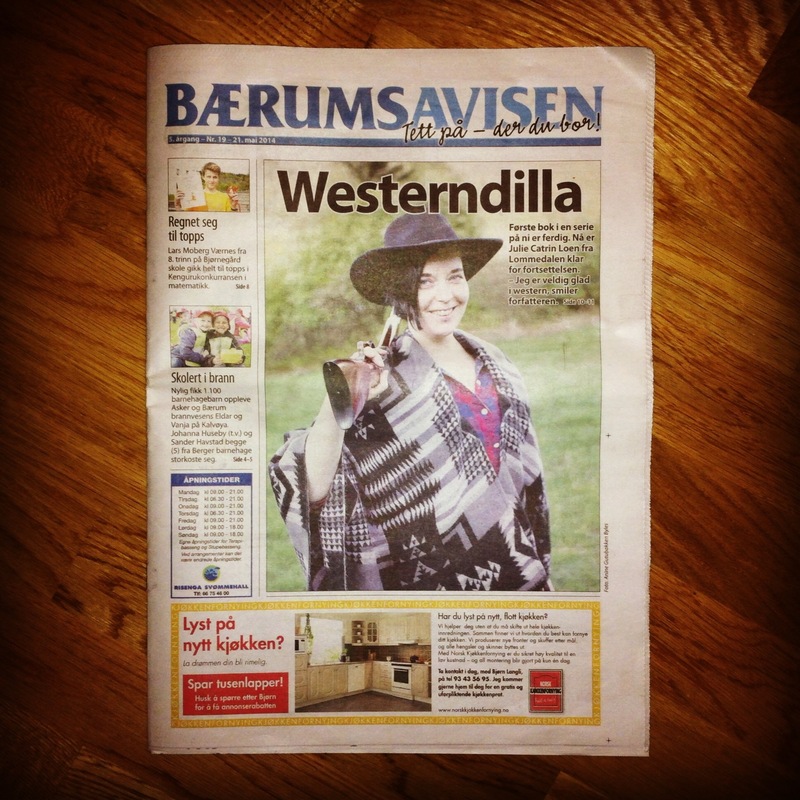 I’ve been interviewed by a local newspaper. Made it to the front page and all! The interview is in Norwegian, if you are suchwise inclined you can read it here. No shocker: we mostly talked about writing and shooting. This entry was tagged "embers at dawn", "old west", acid western, action, anti heroine, author, badass, cowboy, cowboy action shooting, cowgirl, CreateSpace, female protagonist, front page, guns, gunslinger, historical fiction, indie author, interview, lommedalen, newspaper, Self publishing, series, shooting, weapons, western, writer. Bookmark the permalink.